Little Fiskarp was built in the eighteen hundred century and consists of four genuine small loghouses. The main house is the oldest house on the property and was built during 1700 century. I consists of one large room with a large open fireplace. It is a really cosy and good place for cold evenings and rainy days. You are most welcome to pick up firewood at the main storage close to the center of the property. The two smaller houses each have a bedroom and in one of the houses there is a bathroom with shower and toilet. 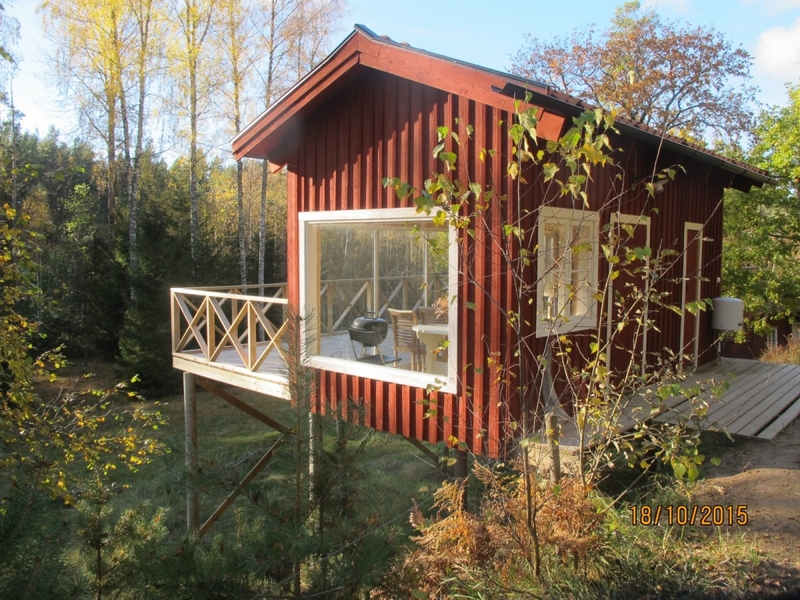 There are two beds in one of the cabins and a queen size bed in the sleeping cabin with the bathroom. The forth building is the newly built separate kitchen with direct access to a large veranda. In that building is as well a second shower and a wc. There is of course hot and cold water, coffee machine, outdoor furniture, barbecue and a vacuum cleaner.